The kitchen. 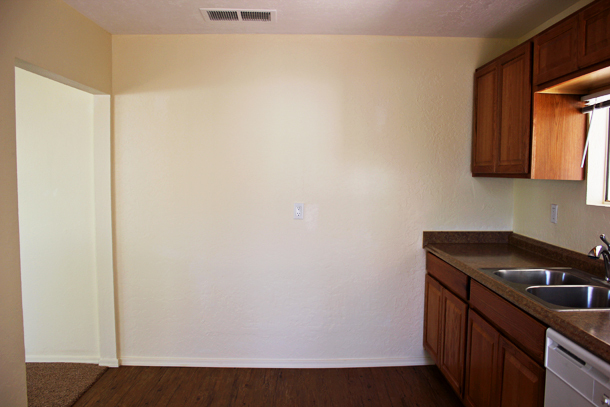 I loved our house when we first looked at it, but the kitchen made me a little sad. 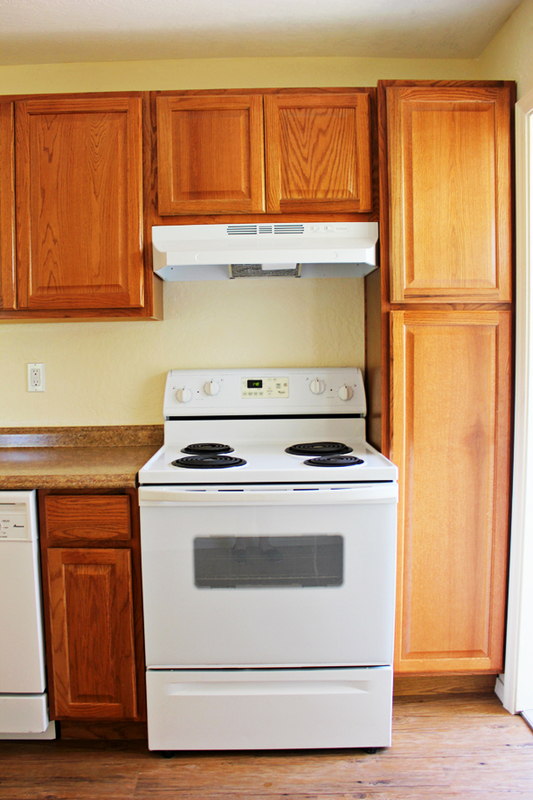 Since I love to cook and bake and hang out in the kitchen, I wanted it to be the highlight of the house. As it was, there was nothing special about it. 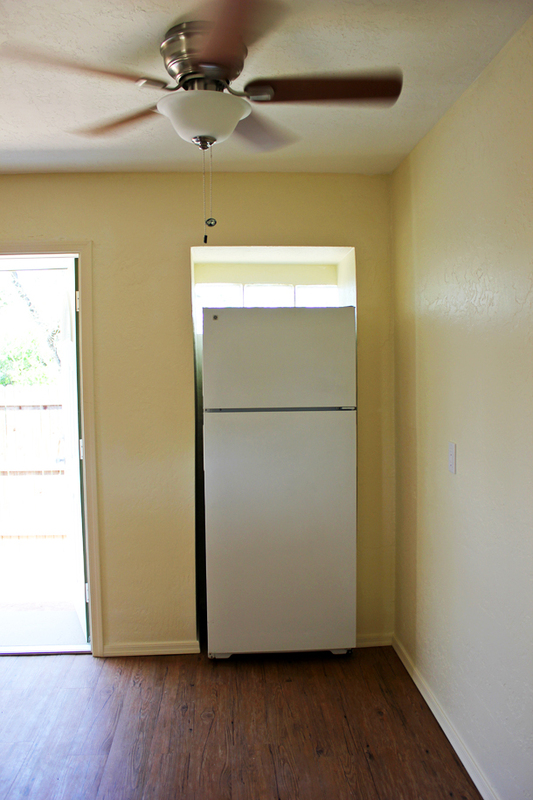 It wasn’t that bad, but it had all the basic, cheap fixtures that you’d expect from a rental house. 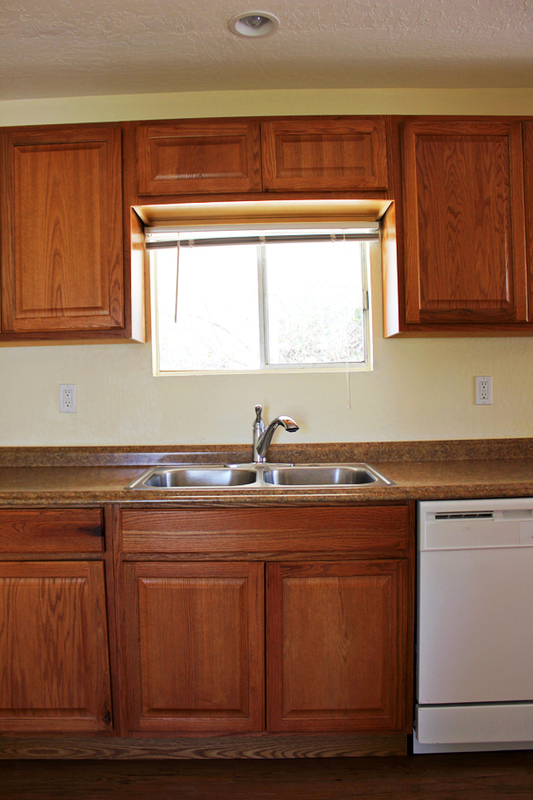 Basic “oak” cabinets, cheap metal sink, lowest quality appliances, boring yellowish paint. Growing up, we were always in the kitchen. It’s easily the room I’ve spent the most time in. And that’s the feeling I want out of my own house. I want it to be a special place. 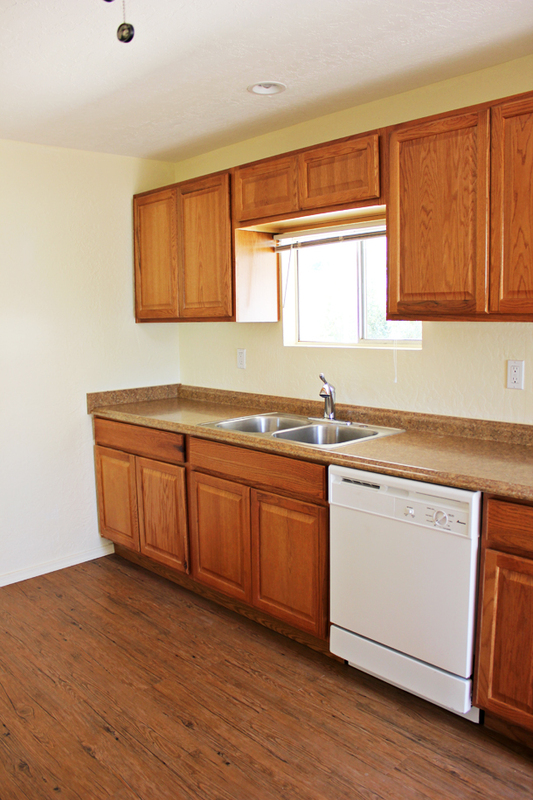 And the basic, boring kitchen my home came with didn’t have that special feeling. The kitchen was really dark. It only has one small window which is covered by a patio cover on the other side. 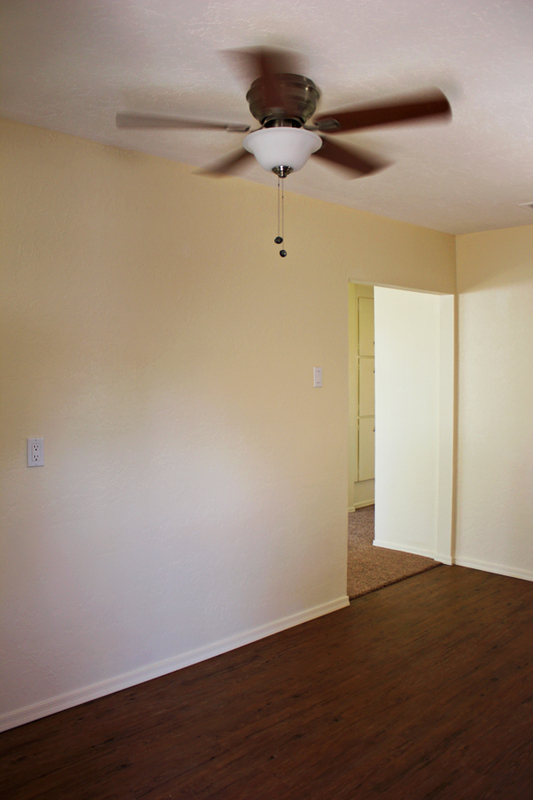 As you can see in the photos, I had to open the door to even get enough lighting for good photographs. It felt cramped because of the wall (which we’ve taken out). Nothing about it was bright and cheerful, which I wanted in a kitchen.